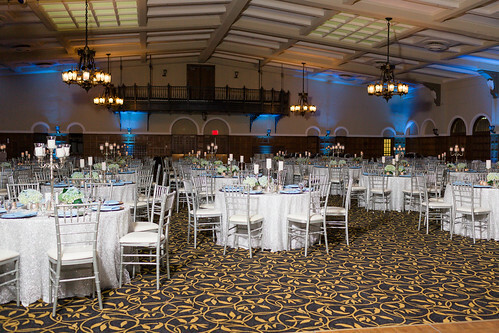 So you’re worried about ugly ballroom chairs and baggy chair covers, huh? Just replace the chair! 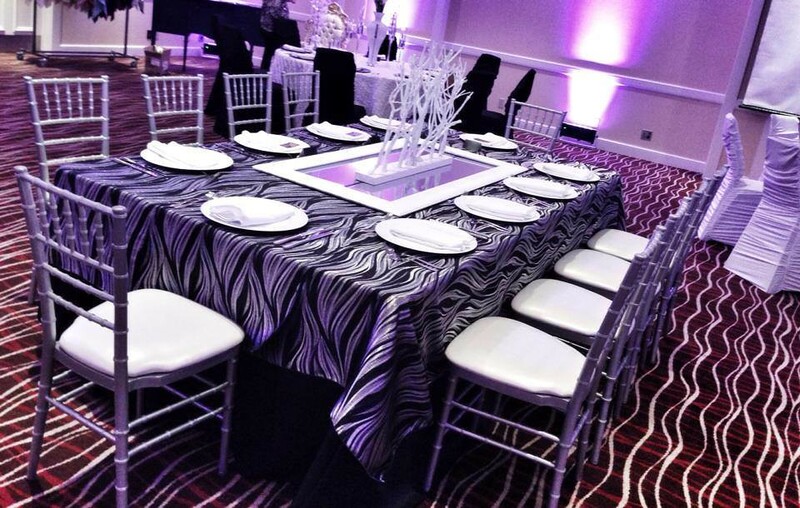 Our Silver Chiavari Chairs are a great way to add a flashy, modern look to any event! 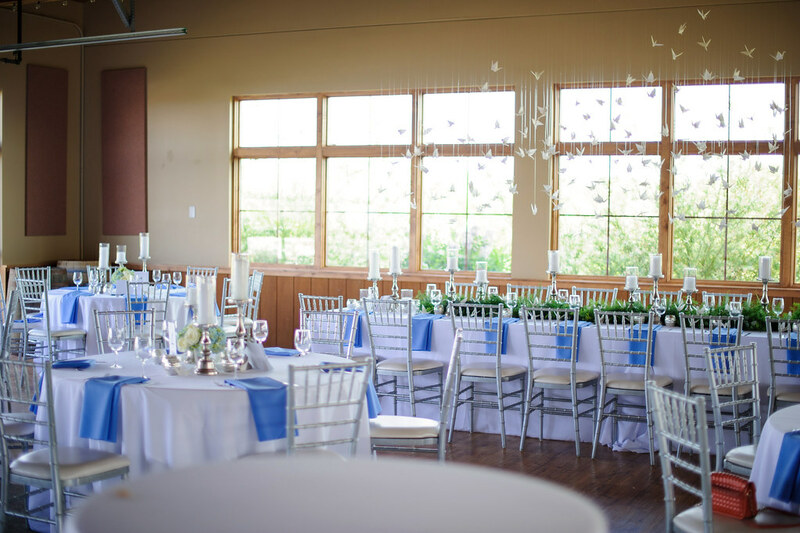 A great look for most any occasion, the simple elegance of our chairs is sure to get the attention of your guests. 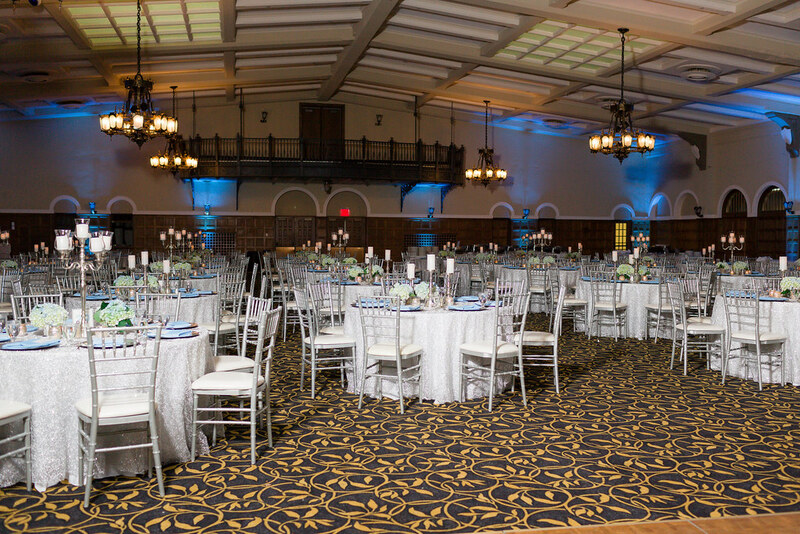 Whether used with a contrasting table cloth in a ballroom or lining the aisle at your wedding ceremony our Silver Chiavari Chairs will make the subtle statement you are looking for! Comparing Chiavari Chairs? 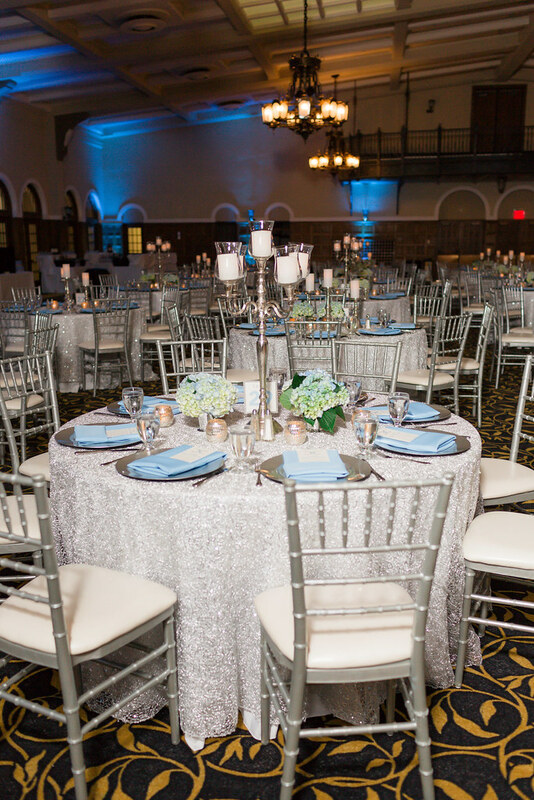 You should know that we have invested in Silver Chiavari Chairs that have a steel core and are not just a molded piece of plastic. Why does that matter? They are less likely to buckle under the weight of your guests. 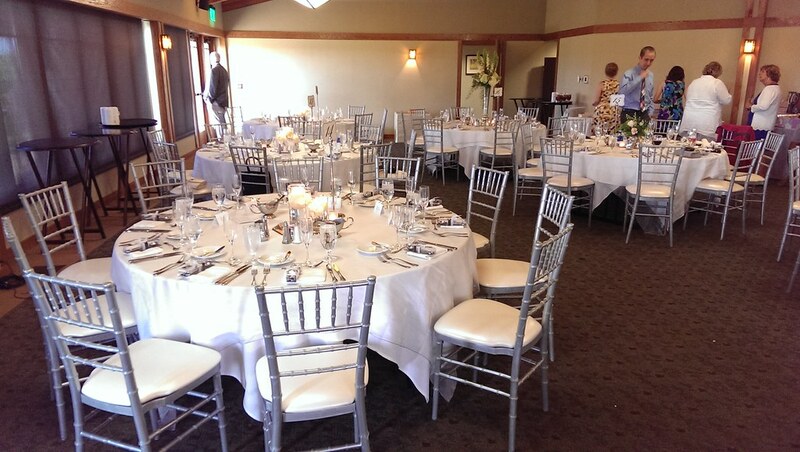 That’s important to know when comparing, what appear to be, identical chairs. Our silver chairs are also marbleized resin; not just painted. This means you get a deep, rich metallic finish, not just a silver spray painted finish. 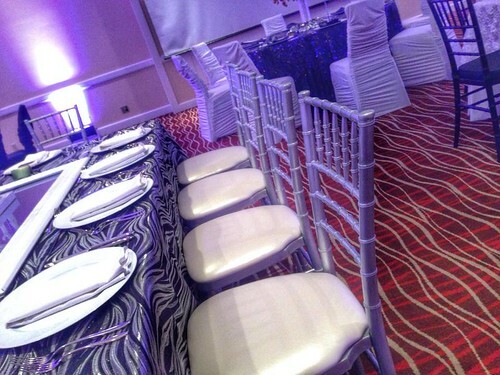 It also means our chairs don’t chip and wear in transport meaning they look better at your event. 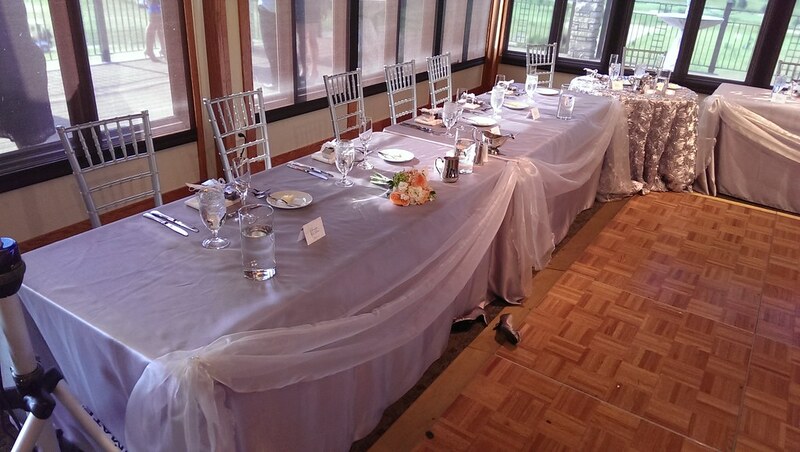 This is a constant problem with wood and painted plastic chiavari chairs! 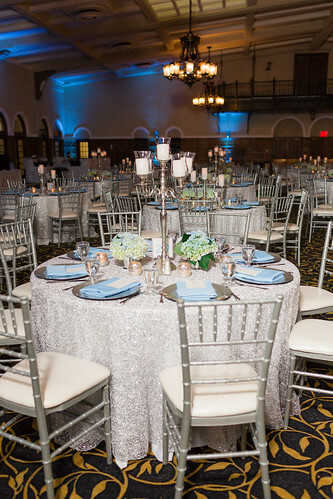 Check out our board for Silver Chiavari Chair inspiration!